Major Shashidharan Nair, who was killed in J&K Friday, had married Trupti against the advice of some of his friends and family. 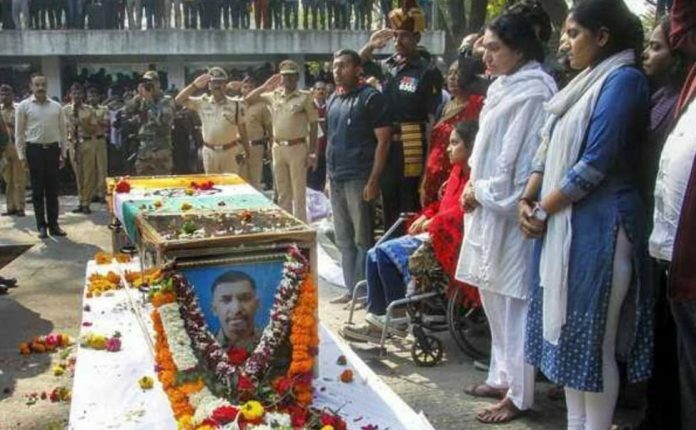 New Delhi: At the National War Memorial in Pune Sunday, a huge crowd of mourners turned up to pay tribute to Major Shashidharan Nair, who was killed in an IED blast at the Line of Control Friday. Major Nair, along with rifleman Jiwan Gurung, was killed in the Nowshera sector of Rajouri, Jammu and Kashmir. Amid the mourning crowd, on a wheelchair, sat a solitary woman who had suffered the greatest loss of them all — his wife Trupti. The love story of Trupti and Shashidharan, as Major Nair was fondly called, was legendary among their peers. It was first put out by Lt Col Sandeep Ahlawat on his Facebook page, and the post went viral. Nair, a Fergusson College alumnus who grew up near the National Defence Academy in Khadakwasla, was passionate about the armed forces. It is said that as a young NCC cadet, all he ever wanted to do was join the Army. But once he had made it to the Army, he found the other love of his life, Trupti. Shashidharan was a 27-year-old Captain when he met Trupti, a 26-year-old Master of Computer Application, through mutual friends six years ago. “It was love at first sight”, said the wife of one of Major Nair’s course-mates. Within six months, they were engaged. However, destiny dealt the young couple a cruel hand. Eight months into their engagement, Trupti was diagnosed with multiple arteriosclerosis, which reduced her movements and put her in a wheelchair. Some of his friends and colleagues advised Major Nair to call off the engagement, but he refused. His love for Trupti trumped any doubts, and they married within a few months. Soon after, Trupti suffered another stroke which left her paralysed below the waist. But the young couple made it a point that they would party together whenever possible. And so, Trupti was welcomed into the family culture of the Army, becoming a fixture at get-togethers, where Shashidharan would wheel her or even carry her in. “It was those moments which really surprised us. 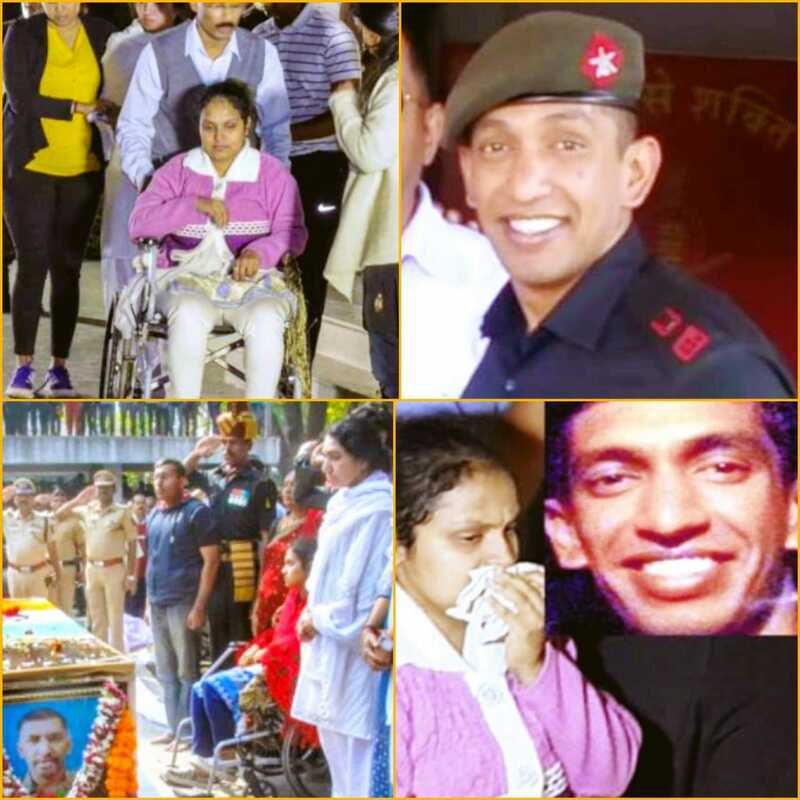 I thought this sort of love story is only for books, but Shashidharan proved that true love still exists,” a soldier who knew Major Nair said. Just 10 days before he was killed, Major Nair had been on a month-long leave with his family. While leaving, he had tried to allay Trupti’s fears about being posted in Kashmir, promising her that he would be back. But it was not to be.